We supply a broad range of MS Channel that is used in metal docking, space frame towers, prefabricated shelters and per-engineered building systems. Offered channel is precisely manufactured by our diligent professionals by utilizing high grade mild steel at our well-equipped manufacturing unit. Furthermore, this MS Channel can be availed in different specifications by our customers. Our organisation is placed among the noteworthy enterprise engaged in offering an excellent assortment of C Channel. 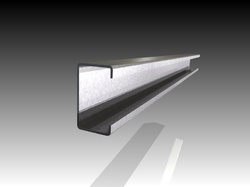 This channel is developed using quality stainless steel materials and galvanised solution. Offered channel is made of using modern technology and applying progressive sciences. Our professionals ensure adhering to international quality standards while manufacturing the channel. Further, they also opt for strict quality tests before delivering the provided channel. Apart from it, clients can get the channel from us at industry leading rates. 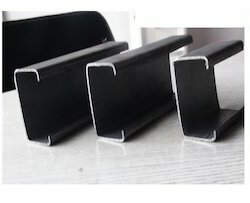 We are Leading Manufactures & Suppliers of LIP Channel.